How Do Countries In Africa Rank For 'Child-Friendliness'? : Goats and Soda A new "child friendliness" index praises such countries as Namibia and Lesotho — and "names and shames" poor performers. The African Child Policy Forum (ACPF) has released its latest rankings of African countries on a "Child-Friendliness Index." Every few years since 2008, the Ethiopia-based research center scores governments on their intentions to improve children's legal protections, poverty rates, health, nutrition and education – as well as the outcomes of those intentions. Some countries are doing well — and even making strides. eSwatini (formerly known as Swaziland) was ranked 51 out of 52 countries in 2008. This year it was number 9. The reasons for the improvement? In 2012, eSwatini adopted a Children's Protection and Welfare Act that largely brought the country's laws in line with international human rights laws on children's rights. According to the report, it has also significantly improved children's access to health care, resulting in higher survival rates, more measles vaccinations and better access to sanitation. The report also "names and shames" countries that fall short, says Yehualashet Mekonen, program manager of ACPF's African Child Observatory and lead author of the report. "I'm not ashamed to name Equatorial Guinea," says Mekonen. The country has one of Africa's smallest populations at about 1.3 million as well as a GDP per capita that's one of the continent's highest. "You would imagine that children there would be benefiting a lot," he says. "But what we are seeing is that in fact a substantial portion of the children are not even getting vaccines against childhood diseases." According to the report, which used data from the United Nations Children's Fund (UNICEF), only 30 percent of children aged 12 to 23 months in Equatorial Guinea were vaccinated against measles in 2016. That's much lower than the continent as a whole, which managed to vaccinate 85 percent of children in that age group that year. Weak budget allocations to children's well-being and poor outcomes are among the reasons why Equatorial Guinea fell in the "less child-friendly" category at number 34. Meanwhile, Lesotho, with about a tenth of Equatorial Guinea's GDP per capita, was 11th this year. "The issue of corruption is a precursor to why governments aren't putting money into their own commitments. If they reduce their own expenditures – on bloated overhead costs, on short business class flights – there is money for children's well-being," says Samuel Norgah, director of Plan International's African Union liaison office. At the bottom of this year's index were South Sudan, Central African Republic, Chad, Cameroon, Zambia, Liberia, the Democratic Republic of Congo, Guinea and Eritrea. But according to the report's authors, it's not just countries at the bottom of the index that need to dramatically increase their investment in children. UNICEF projects that, if current trends continue, Africa's under-18 population could hit 1 billion by 2050 – an "unprecedented" child and youth population boom, the ACPF report says. Already, UNICEF estimates that children under 18 years old make up nearly half of the continent's population of 1.2 billion. "Progress is still far too slow and patchy," Graça Machel, chair of ACPF's international board of trustees and widow of Nelson Mandela, stated in a press release for the report. "The future is even more disconcerting. We are faced with a scenario that calls for nothing short of an exceptional and transformative agenda." Although just passing laws doesn't guarantee change, it's still an important step to reform, says Jose Manuel Roche, chief researcher at Save the Children UK. "It's not sufficient, but it's needed." But implementing laws and policies is also important — and that's not happening in many countries, according to the index. What's needed, says Roche, is more money. In line with international conventions and other child rights advocates, Mekonen says children and young people of various ages and backgrounds should be a part of the budget process from the get-go. To ensure their needs are prioritized, they should be invited to offer their input and views as the budget is being formulated. And not only does a sufficient portion of the budget need to be allocated to children's well-being, but it needs to be disbursed on time to the correct implementing agencies and used as intended. 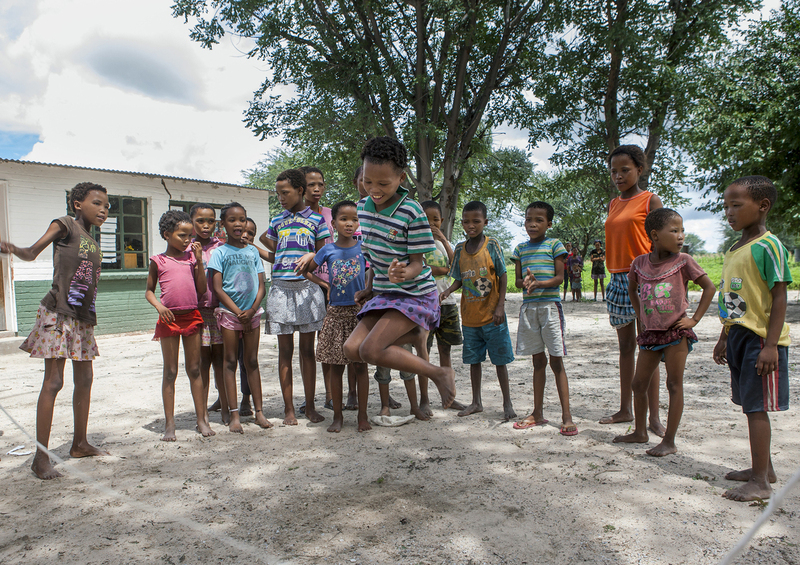 Countries like Lesotho demonstrate that vast resources aren't required to be child-friendly. "[In most African countries] we already have the institutions in place. We already have the legislation in place," says Samuel Norgah of Plan International. "We can build the capacity of law enforcement and prosecute offenders for crimes against children. Those don't require a lot of money. We need to look at some of the low-hanging fruit and pluck them to set the whole system of child friendliness in motion." Caroline Lambert says that governments also have a valuable resource in other actors, especially local leaders, civil society and regional partners. She's a former fellow at the Center for Global Development who recently co-authored a book with Malawi's first female president Joyce Banda on the importance of investing in African girls. "In a lot of African countries, the government's reach is limited," she says. "It's not about governments acting by themselves. It's about reach; it's about who can do what better; it's about mobilizing resources – not just money." In Ethiopia, ACPF launched the Children's Legal Protection Center to provide children with pro bono legal aid, psycho-social support and advocacy so they can actually take advantage of the legal framework in place and protect their rights. Mekonen says that if governments can see nongovernmental organizations, rights advocates and cultural leaders as more than just "finger pointers" but as partners, the collaboration can increase transparency and accelerate progress. That's the value of tools like the Child-Friendliness Index, Roche says. "It's presented by an African organization to African leaders. When you want them to take action, it's really good to stimulate debate and deliberation through comparison." Naomi Tulay-Solanke, executive director of Community Health Care Initiative INC. Liberia and an Aspen Institute New Voices fellow, says it might. "But it's more important for the information to come out, so our leaders and those responsible will be pressured to stand up for change and create a safe space for children," she says. "It gives me hope and inspiration," he says. "If all 52 countries in Africa were at the bottom of the index, then I would be very concerned. But there are at least 21 countries that are child-friendly. How can we use that as an inspiration to get the bottom countries to do what they have done?"